The new Volkswagen Tiguan looks a lot more striking than the previous model, and with 90% of sales expected to be diesels, it shows that diesel engines aren’t quite dead yet. 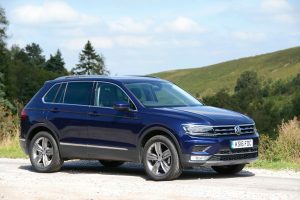 Everyone wants an SUV, and because the Tiguan is the SUV alternative to the Golf, there are huge potential sales on offer for Volkswagen if it gets it right with this car. So has it got it right? 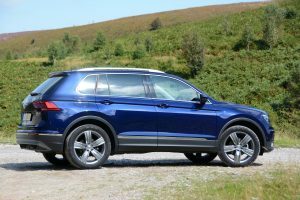 Up until this point, previous generations of the Volkswagen Tiguan have sold well, but you could easily walk past one in the street without noticing it. That’s all changed with the latest version of the Tiguan. Gone is the non-descript, rounded exterior, replaced with styling that makes it looks wide, low, more angular, full of chrome, and somewhat designed to appeal to the American market. To ensure it looks like an SUV this time around, it’s bigger, boxier, and our test car sat on large wheels. You’re aware of all this when you live with it for a week, but it was only at the end of the test when we came to find the car in a huge car park in a field that we realised just how much the design does stand out compared to the majority of cars parked around it. 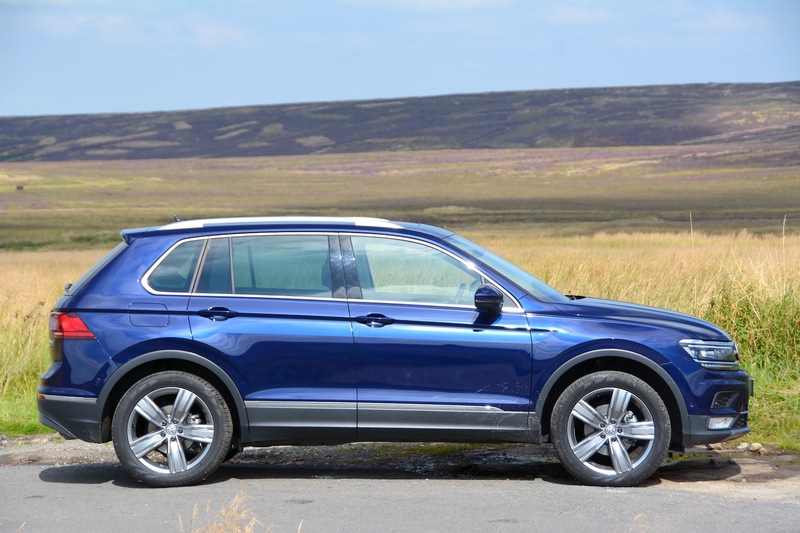 The Tiguan looks modern, upmarket and distinctive. The interior will be a familiar place to anyone who has sat in a recent Volkswagen. 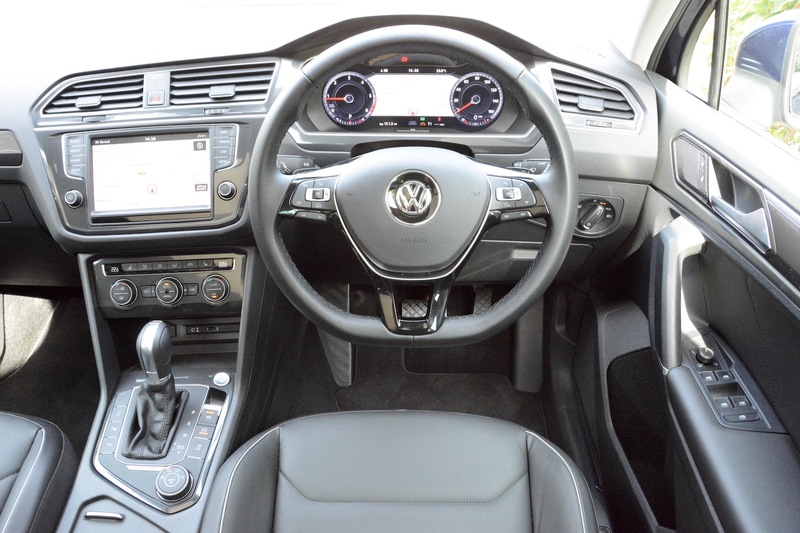 The dashboard is similar to models such as the Passat, but it somehow looks and feels better in the Tiguan. Our test car had features such as a large sunroof and fold-down trays attached the back of the front seats for rear seat occupants. There’s a large boot, but so there should be, as the Tiguan feels like it’s grown considerably over the previous model. 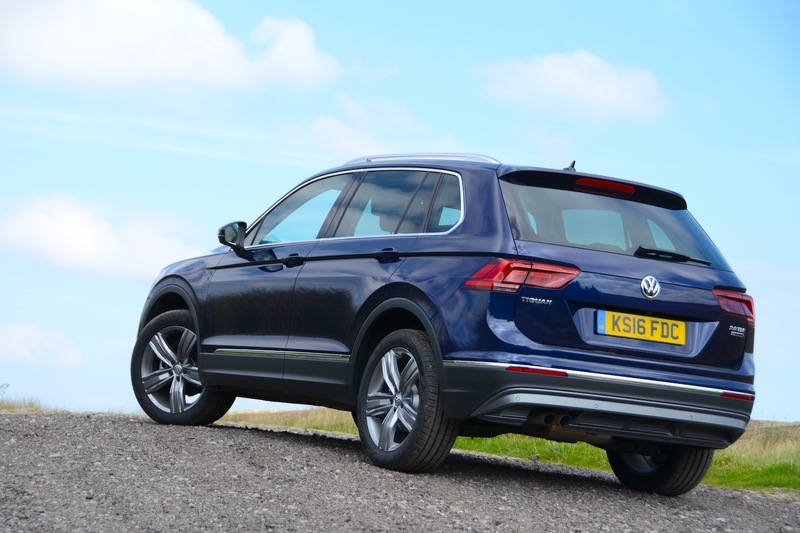 In fact, even the tailgate feels big and heavy; you can see why manufacturers provide electrical assistance when they get this heavy (although the Tiguan’s tailgate requires old-fashioned human arms to operate). Under the bonnet there’s a 2.0-litre, 4-cylinder turbodiesel, mated to a seven-speed DSG gearbox, and this Tiguan 4MOTION has four-wheel drive. 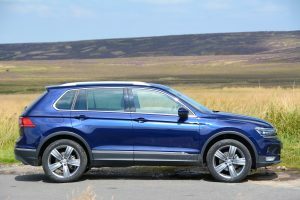 The Tiguan is a Volkswagen so it will come as no surprise that it drives like a Volkswagen. This means that it does everything that you need it to do very competently, but it’s not the most exciting driving experience. It does however excel at being refined on the motorway, and it has a comfortable ride. Although there’s a 2.0-litre, 4-cylinder turbodiesel engine, which should endow it with good performance, the power unit is dragging around a heavy car. 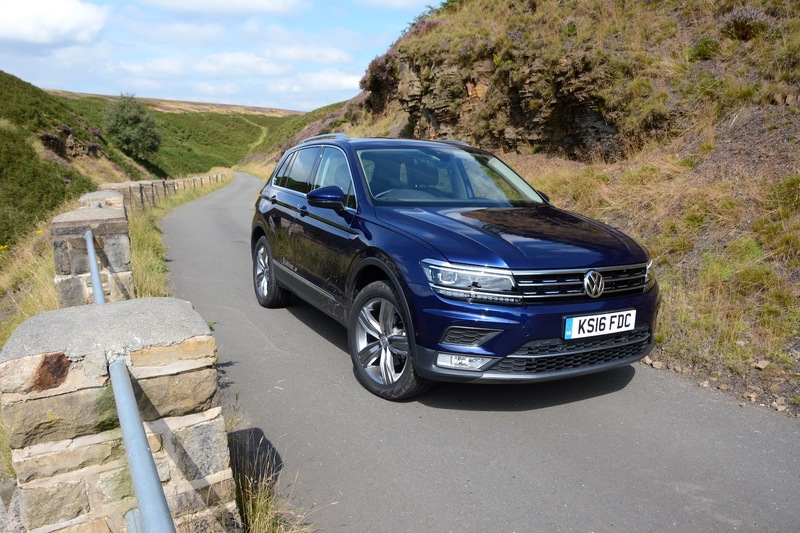 The weight of the Tiguan ranges from 1,490kg to 1,795kg, but our model – with a 2-litre diesel engine, DSG gearbox, and four-wheel drive – is at the very top end of this range, and in fact the spec sheet says it weighs a mammoth 1852kg – the optional extras presumably accounting for the additional weight gain. So rapid performance isn’t one of the car’s key features. Even selecting the transmission’s Sport mode rather than Drive doesn’t seem to make that much difference. Another issue, in common with various other models in the Volkswagen Group range with the DSG transmission, is that initial response when moving off from standstill can be slow. A similar accusation can be levelled at the infomedia screen, which also takes a while to come to life. However our Tiguan did have one party trick up its sleeve, the digital instrument cluster, meaning that you can view the satnav between the speedo and rev counter dials, as introduced in the Audi TT. The reversing camera (an option) was also useful. 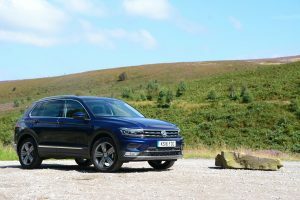 As it’s highly unlikely that the Tiguan will see much off-roading action, in the UK at least, we didn’t give it an extensive off-road test, but we seemed to survive unscathed when we drove over various patches of mud, a large grassy field and a slightly inclined non-tarmac road. If you do need to drive through a wet field, there’s a dial that allows you to select a few off-road driving options. And if you want to tow with the Tiguan, it has an official 2,500kg towing capacity for all versions with 4MOTION all-wheel drive. The official NEDC combined fuel economy figure for the Tiguan 2.0 TDI 4MOTION 150 PS 7-speed DSG is 49.6mpg – equating to emissions of 149g/km CO2. These figures would obviously be better for this powertrain if it was in a lighter, more aerodynamic vehicle. Over a week with the car – with our typical driving pattern of 80% long journeys and 20% around town, we averaged 43.5mpg. If more of our journeys had been in urban areas, this figure would have been hovering in the very low 40’s at best. 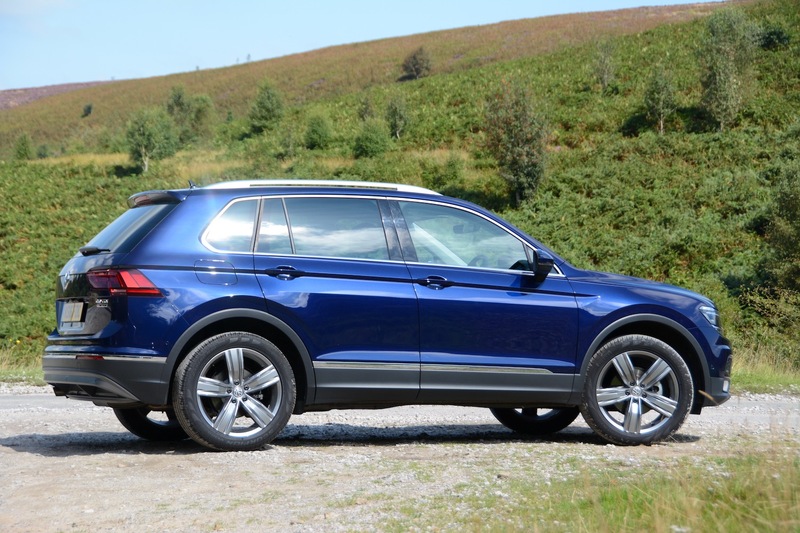 The Volkswagen Tiguan SEL 2.0 TDI SCR 4MOTION 150 PS 7-speed DSG (snappy title) costs £32,810. 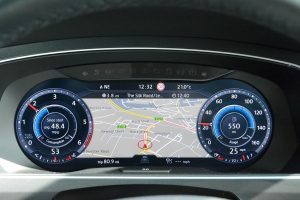 Our test car had the options of metallic paint (£560), Discover Navigation Pro touchscreen navigation (£1,365), leather upholstery (£1,475), keyless entry (£375), Trailer Assist including Park Assist and rear-view camera (£800), swivelling towbar (£715), taking the price as tested to £38,100 – which is getting expensive for a family SUV. 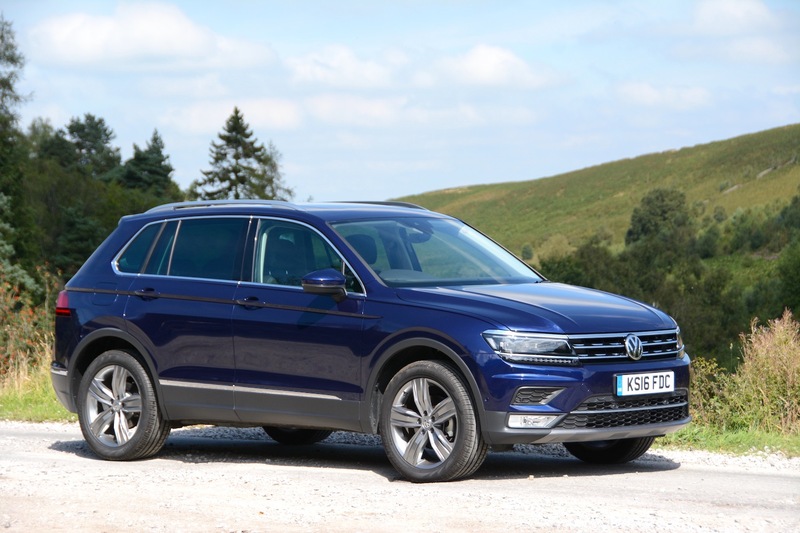 There are seven engines for the Tiguan, with diesel engines expecting to account for around 90% of sales. 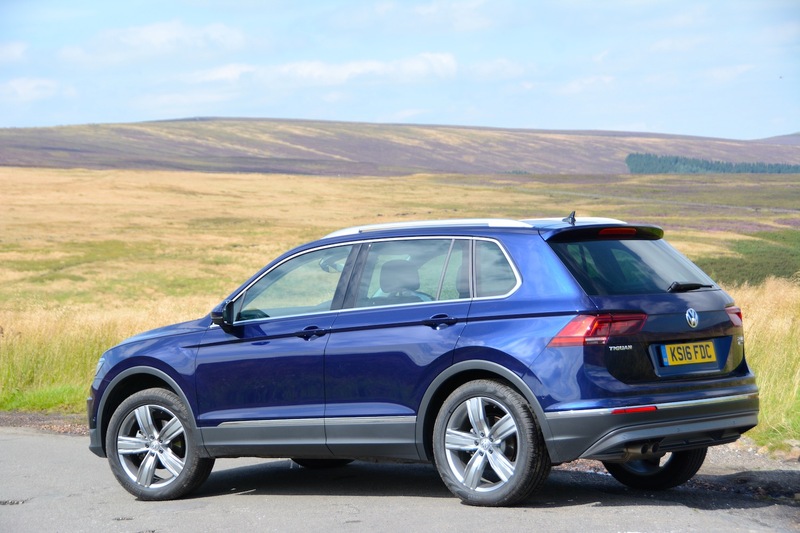 In the UK, the Tiguan is offered in five trim levels: S, SE, SE Navigation, SEL and R-Line. 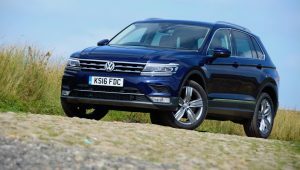 The Tiguan is another competent Volkswagen. It’s decent to drive, it’s spacious, and there’s lots of technology on offer. 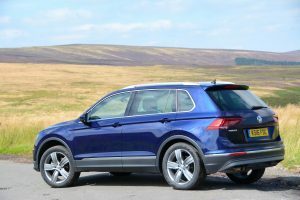 Compared to the previous model, the one big thing that sets the new Tiguan apart is its looks, which are much more striking than before. Tied in with the new looks is the increased size. 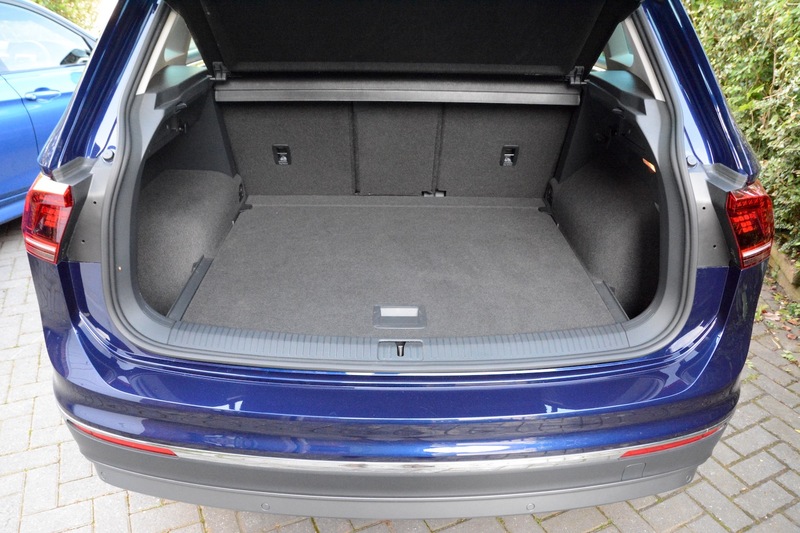 More space is good from a practicality point of view, but the increased weight gain is worrying, and you can feel the impact of the car’s mass on its performance. 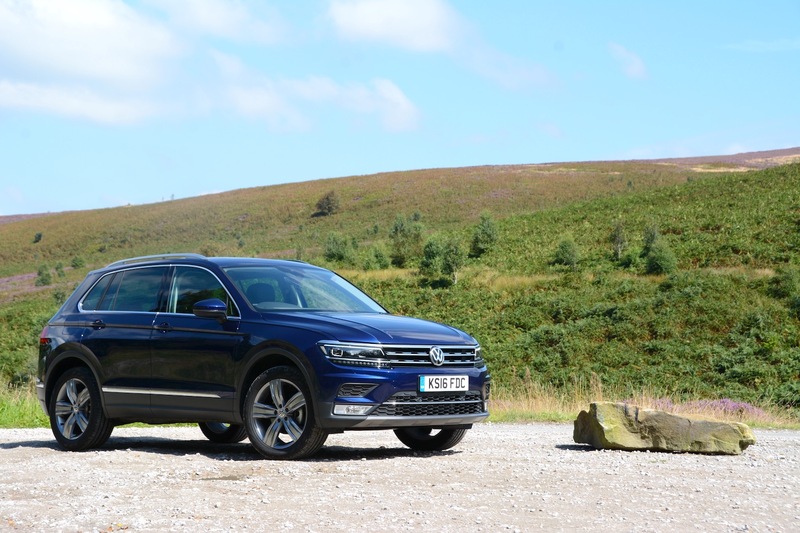 So overall this is a good car, but not being particularly rewarding to drive or particularly efficient means the Volkswagen Tiguan SEL 2.0 TDI SCR 4MOTION 150 PS 7-speed DSG ends up with a Green Car Guide rating of 8 out of 10.